If you’re going to be a sailor, you have to make yourself mighty comfortable with the color blue. After all, there are going to be days on end when blue is pretty much all you see. For miles and miles you have the bright blue sky over your head and the deep blue sea beneath your feet. (Of course, the sea is only blue because it’s reflecting the sky, but we don’t want to get into a whole “the chicken or the egg” debate here.) When you’re out in the middle of the ocean, you start to understand the old blues singer’s adage: the blues aren’t something you have, the blues are something you live. In the midst of all that blue, some people would try to steer away from it and dress in red or yellow, spinning that primary color wheel as far away from blue as possible. But maybe it’s better to lean into it. Understand the blue. Embrace the blue. Become the blue. Cover yourself in the comforting color of the sea and the sky that stretch off to every horizon. Be a true citizen of the sea, a sailor’s sailor through and through. 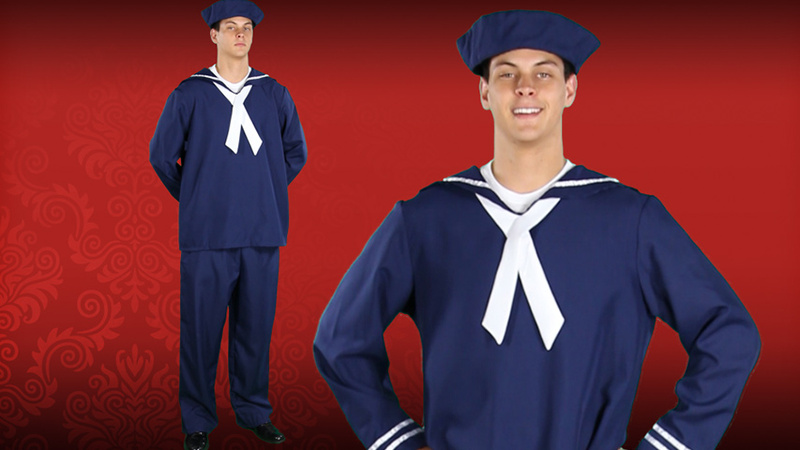 When you’re ready to get in touch with your bluer side, this polyester poplin sailor suit is ready to receive you. 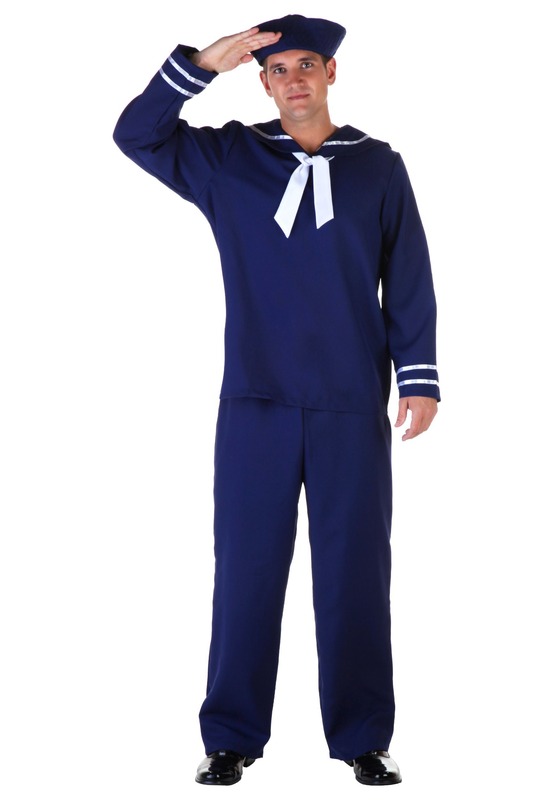 The three-piece ensemble includes elastic-waist pants, a sailor’s cap, and a long-sleeved pullover shirt featuring stripes of white ribbon at the collar and cuffs, topped off with a sewn-in white neck tie. Those splashes of cloud-like white provide excellent contrast for an outfit that’s otherwise a deep, beautiful navy blue, just the color to make a genuine sailor feel right at home.